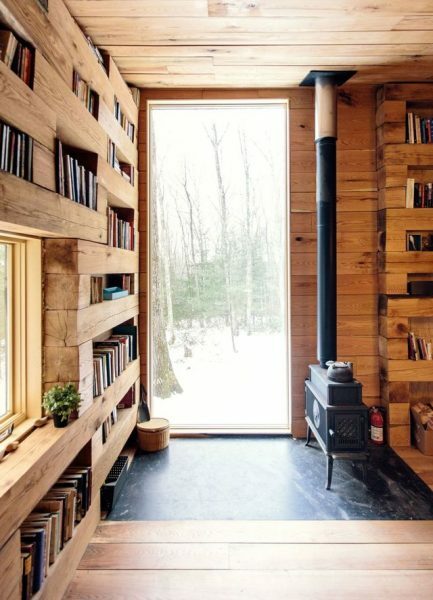 THIS Cozy Library In The Middle Of Nowhere Is Everything We Need! It is said that we rarely live in reality, but in realms of our own creation. The best escape of the existential angst that can caught up with you is reading a book; there’s nothing like losing yourself in a mystical fictional world. One big problem about reading a good book is finding a place to do so. Sure, reading on your daily commute is how most people get their book time in, but it’s less than ideal. We need a sacred place so we can escape into these mystical worlds. And there is a place that’s probably one of the best places for book lovers. 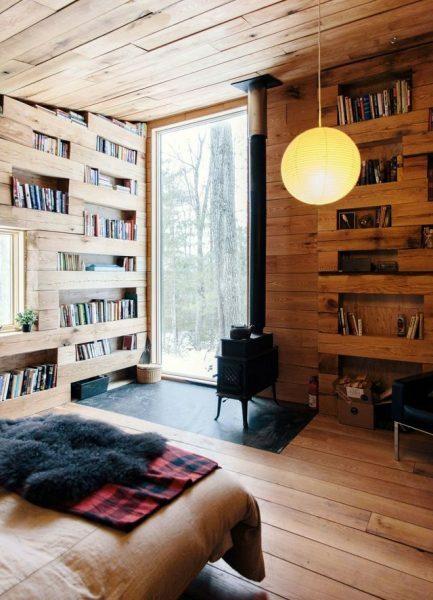 Built by Studio Padron, the library doubles as a guest/vacation home and is located in upstate New York; a very welcome getaway for anyone who works in the big city. 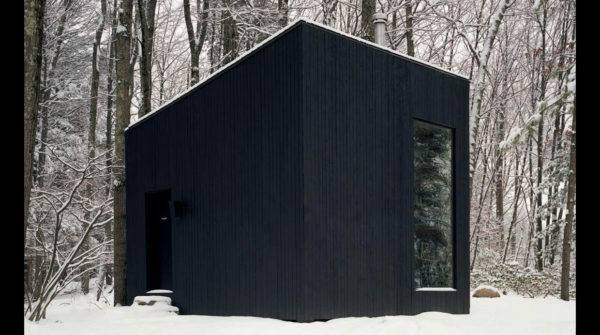 This Hemmelig Rom (Norwegian for “secret room”) is made entirely out of oak trees leftover from the space that was cleared for making the main house. 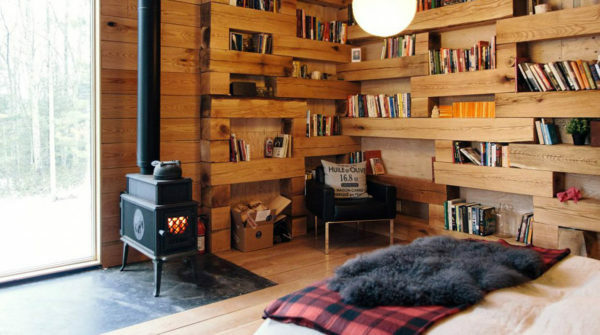 It’s packed with a bed, a wood-powered stove, an armchair, and a desk. You know, so you can put off that novel you’ve been meaning to write in style. It’s located in the middle of the woods, so there’s probably no WiFi. But if you’ve got the kind of dough lying around to build yourself a dedicated reading room, then you better use that darn thing for some reading. Every novel is a new world waiting to be explored. And you as an explorer should find the best place to explore from. Probably with warm tea in hand.